What happens when a customer has a complaint? Are their concerns addressed promptly and respectfully, or is the person left waiting for a response? Can that person even find contact information to make a complaint, or are they forced to vent publicly through channels like social media? In short, does the company in question fully meet the customer's needs? Excellent customer service has a dramatic impact on acquisition, retention and a business's bottom line. For example, consider a young woman who runs into a problem with her online subscription service. The issue itself sours her interactions with the brand in question, but a proper customer service experience can repair that severed connection. On the other hand, a bad experience - one where she has a problem with the product and ultimately comes to believe the company is unwilling to fix it - can lead her to cancel her subscription and head to a competitor. As is constantly seen in regard to payment options, consumers love choice. Instead of relying on either human technicians or automated customer service tools like chat bots, businesses should do their best to provide both. Chat bots and the like save companies money on staff, but recent data shows that, despite their convenience, people prefer a human voice. One study, which surveyed 1,000 consumers in Australia and New Zealand, found 70 percent of respondents prefer speaking directly with an agent when trying to resolve an issue, CMO Australia reported. 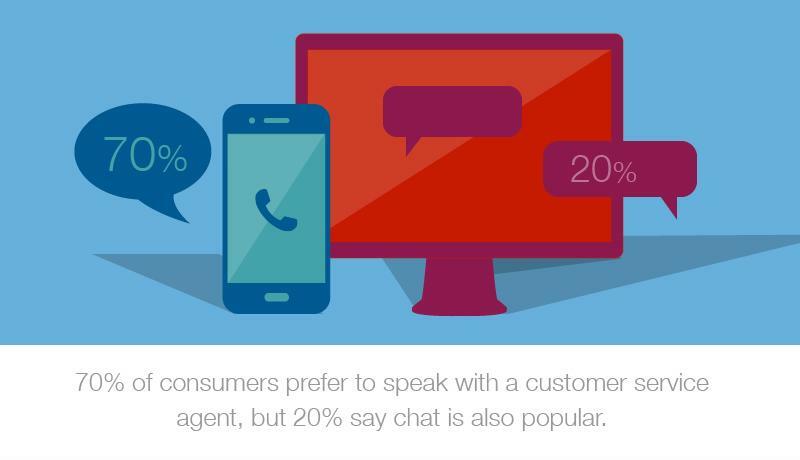 However, 20 percent also said chat is emerging as a popular form of customer service. The takeaway: Companies must give consumers the freedom to try new channels while still having the security of old ones. Also, they should make sure these options are consistent - 72 percent of respondents said they wanted the same type of customer service interaction for every issue, whether it concerned subscription billing, sales or other areas. Human contact is preferred, but chat isn't out for the count. Excellent customer service providers attempt to tackle potential issues before they arise, preventing their subscribers from encountering problems in the first place. They do so by collecting and leveraging as much data as they can, analyzing for trends and common issues. Interestingly, this idea is something the Munich Airport excels at. LinkedIn Pulse contributor Arturo García-Alonso, an airport engineering and service expert, detailed how Munich uses such data, combined with travel forecasts, to predict the needs of every traveler, despite their diverse backgrounds. This approach to customer service is, in part, what makes the airport an industry leader. Subscription billing customers want to be heard, and giving them the opportunity to voice their opinion elevates their satisfaction. In addition, it also tells businesses exactly what they need to focus on to improve the consumer experience. By addressing these issues, companies eliminate similar problems in the future and can even find inspiration for new products and services. Excellent customer service is just one aspect of reducing churn, but its significance cannot be underestimated. Attending to this area of the customer experience can be surprisingly lucrative.